When is a bathtub more than a bathtub? Recently we had a customer call us with an unusual request. He had a bathtub that had been severely damaged in a fire, and he wanted us to look at it. His name is Calvin, and here’s the story of his bathtub. Calvin loved his Grandma Rosa and spent a lot of time with her gardening because she loved flowers so much. Spending time with her is what he looked forward to the most, along with his grandma sharing her wisdom. The tragic part of the story is that Grandma Rosa’s house burned down while she was in it. She had already passed away from natural causes so the fire did not cause her death. Grandma Rosa had an antique clawfoot bathtub. This clawfoot tub had fallen through the burning floor from the second-story and crashed into the raging fire on the first floor. Clawfoot tubs are very tough. It was badly damaged, but the fire didn’t destroy it. 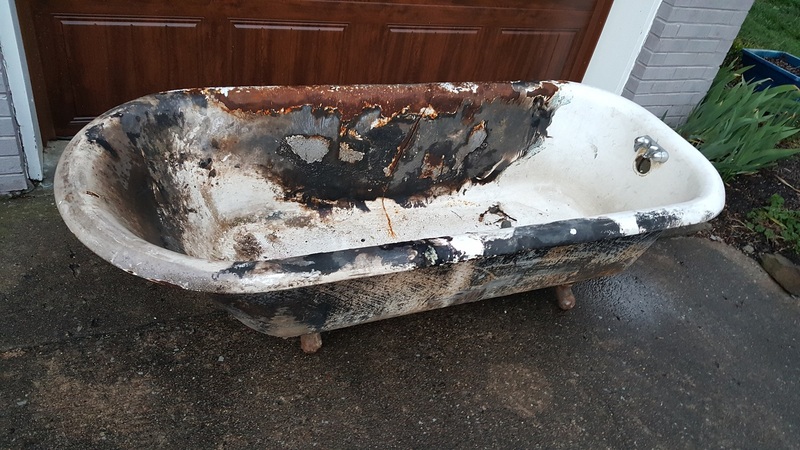 You can see from the before picture just how bad the tub was burned and damaged. Calvin asked us if we can bring it back to life so he can turn it into a flower planter to remember Grandma Rosa. We were tasked with restoring the tub but leaving a little character to preserve the story. He also told us her favorite color was mint green which you can see in the after pic. 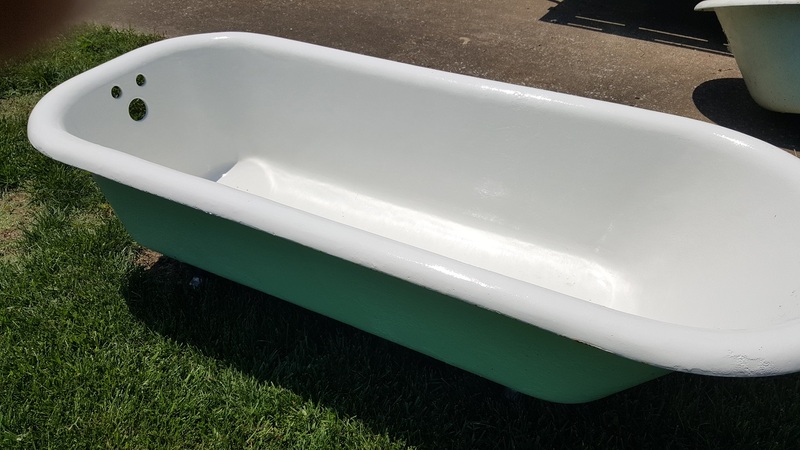 It took and lot of man hours to complete the clawfoot bathtub restoration project, but I could not think of a better project for us to be a part of. Thanks to Calvin for trusting in us, and RIP Grandma Rosa. The team from Affordable Bathtub Repair.